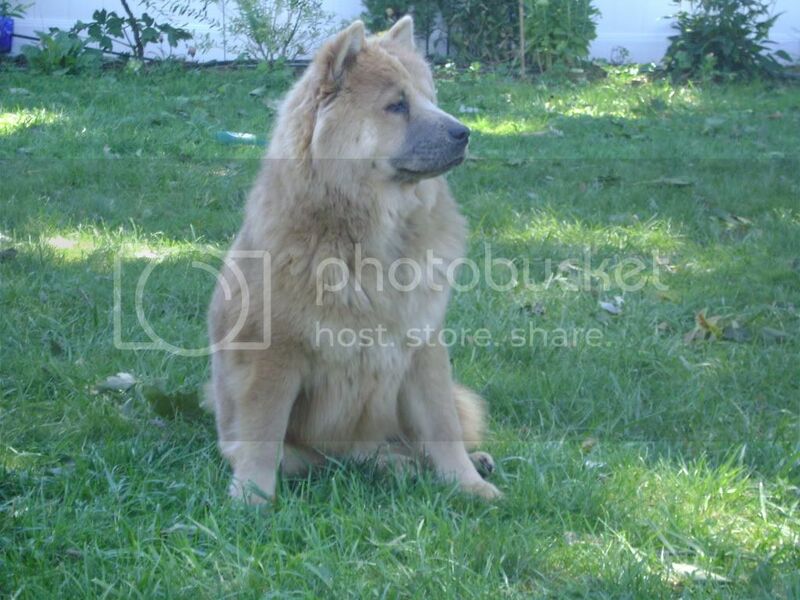 I have a 3-month old chow that according to the breeder is a smooth coat, closed face type. After seeing a few other pictures on here, I'm pretty sure the breeder was just trying to get a sale. Here is punchy a few days after we got him. I would say your breeder doesn't know what they're talking about. Your pup looks like a cream rough coated, open faced chow. And Kitten, your boy doesn't look like a closed faced chow. He looks open face. Open faced is like the purebreds in my signature (Cinder and Tippsy). Closed faced have more wrinkly faces with shorter muzzles. Agree with tippsy. Not smooth and not closed face, Jonny. Kittens is not closed face either. Closed face has a very smushed muzzle and the eyes will be bareyly visible due to wrinkle. 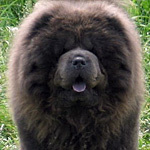 Smooth coated Chows will have the fur lying very close to the body, compare more to a lab style fur. They still have an undercoat, but is not very pronounced. 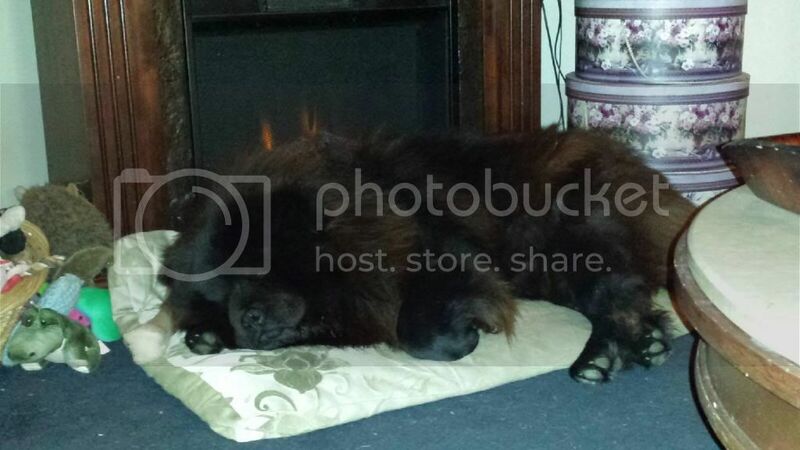 Your Kodi definitely has a shorter more rounded muzzle. My Kodi was a male that looked a lot like your Mia. Not to start an entirely new topic, but variety within the Chow goes way beyond the Smooth/Rough and Open/Closed discussion. Current trends in the US are toward the short/stocky type of Chow. These tend to be toward the closed face/rough category. Muzzles also tend to be in-between (like your Kodi). 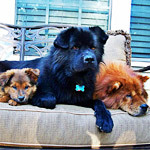 In Asia the Chow tends to be leaner, taller and more athletic with a shorter fur, but still not Smooth. Muzzles similar to your Mia are common. Naturally, there is a crossover. Common traits are still the triangle ears and blue/black tongue. Kodi is one good looking chow. 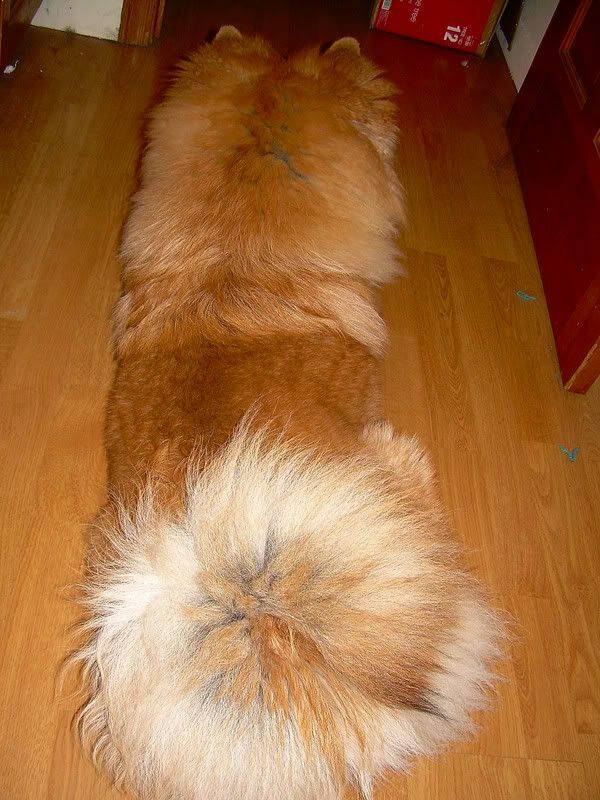 I wouldn't mind my pup growing into that! I'm pretty sure you're right, Tippsy. The breeder threw in a few other BS terms like "bear-type", "compact body", "short snout". I just knew that he was the one when I held him and how he was following me around the petshop and even ran to me when I called him. @Rory - I guess that confirms it. He is definitely an open-faced chow. Doesn't matter now though, open or closed, I still love him. Thank you we love Kodi too...He is only 18 months he still is has some filling out to do...lol..and already a good 80lbs or so..
Kitten your Kodi is indeed an open faced chow. However, he also has a heavier body type than your girl who is much lighter boned and this is one of the main reasons for the difference in facial differences. My Darkwind had a face much like your Kodi's. While my Firesong has a leaner look due more to her petite bone structure than anything else. Dreamdance actually has a shorter muzzle, but is still very much an open faced speciman. He is far more like the original chows or oriental types than most of my others, even down to his shorter plush fur, though he is not a smooth coat. The puppy asked about is a open faced rough coat, he may end up with the shorter coat of the oriental type, but he is still a rough coat. Can't see his tail in the picture, but does curl over his back like this? If so he will probably have shorter fur the genes for the curly tail and shorter long coat are linked. Also how old is he in that picture? he looks too young to be away from his mom and sibs. @Victory - Yes his tail does curl up like that. So much so that it actually leaves a little indentation on the pups back fur. At the time of this picture, he was a day short from being 10 weeks old. We actually just came from the vet this afternoon for his second shot and he almost doubled up his weight since we got him.